The bowl is 22,5 cm wide, 6 cm high. 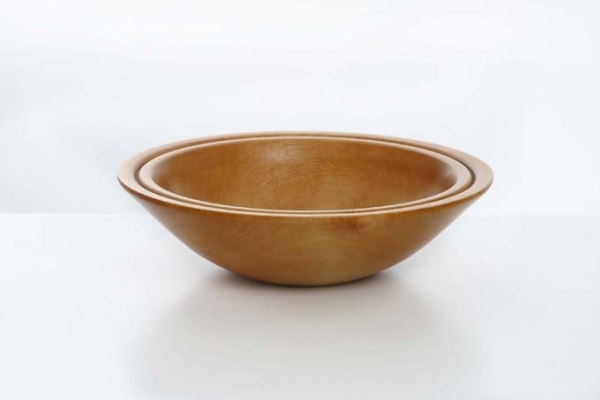 The wood of the bowl is 2 cm thick. Vase made of Jacaranda wood. Dimensions: wide 22 cm, hight 16 cm. The wood of the vase is 1,5 cm thick. While designing this vase the artist wanted to keep the bark of the tree visable. Now it's the edge of the vase. 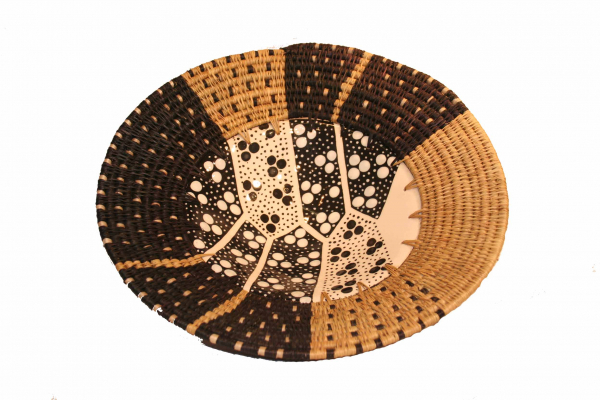 Decorative bowl with a diameter of 48 centimeter. The ceremic center is 34 centimeter. The attached woven sissalgrass edge is approximate 7 centimeter wide. The height of the bowl is 16 centimeter.